As soon as I started reading Night’s Children I couldn’t put it down. Virginia’s world came to life in my mind and it was as if I could feel all of her emotions with her. I really enjoyed Night’s Gift. Excellent book. I especially love that it takes place in my hometown. Second book of series, starts out just as spell binding as the first book. With twists and turns that keep the reader enthralled. An amazing story – keeps you wrapped solidly in Virginia and Basarab’s worlds, and waiting on baited breath to find out what happens in book three!! 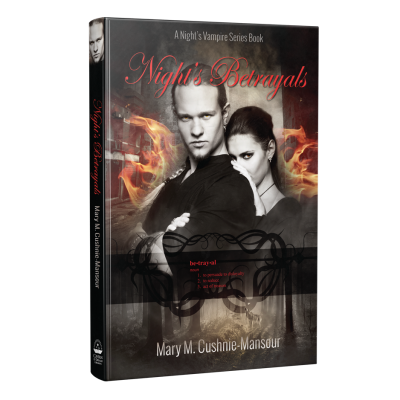 Marys richly textured characters immediately draw you into their world and hold you captivated in a a fantasy of real and genuine human emotions. So fluidly you follow Virginia, as if a shadow in the room, through her fears of the world around and as the fears in her heart collide. 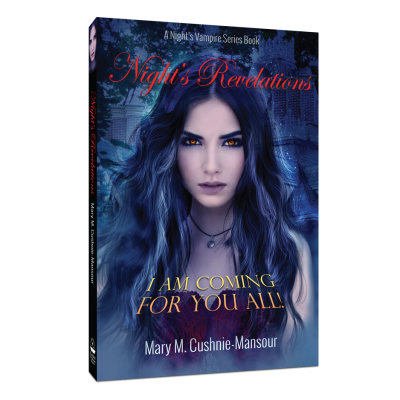 Captivating you and leaving you wanting more ~ thankfully Mary lets us continue to follow this family through Books 2 and three: Night’s Children and Night’s return! As Mary delves deeper into the story line she has created, I found myself getting more and more absorbed into the world of Virginia and this strange family she has become an unwilling participant in. Again the cliffhanger ending has me anxiously waiting for the next book! I was lucky enough to purchase both of the first volumes of this trilogy together, so I could continue the adventures of Virginia and Basarab. How thrilling to find out more about Basarab’s background, his family, and the pressures that affected his relationship with Virginia. I finished this book and waited with bated breath for the concluding chapter. 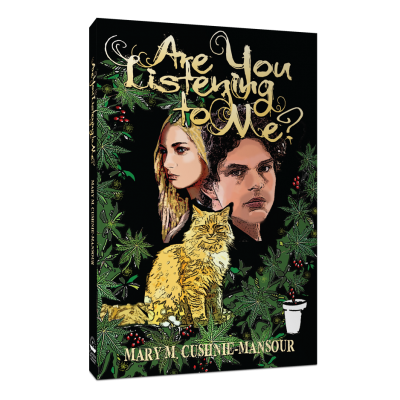 Mary M. Cushnie-Mansour weaves a compelling tale of love, fear, family loyalty and divided loyalties. If you like adventure with a dash of danger then this book is definitely for you. Although it has been some time since I last read Night’s Children, I find myself still recalling this particular book with clarity. Children are beautiful gifts in the world. 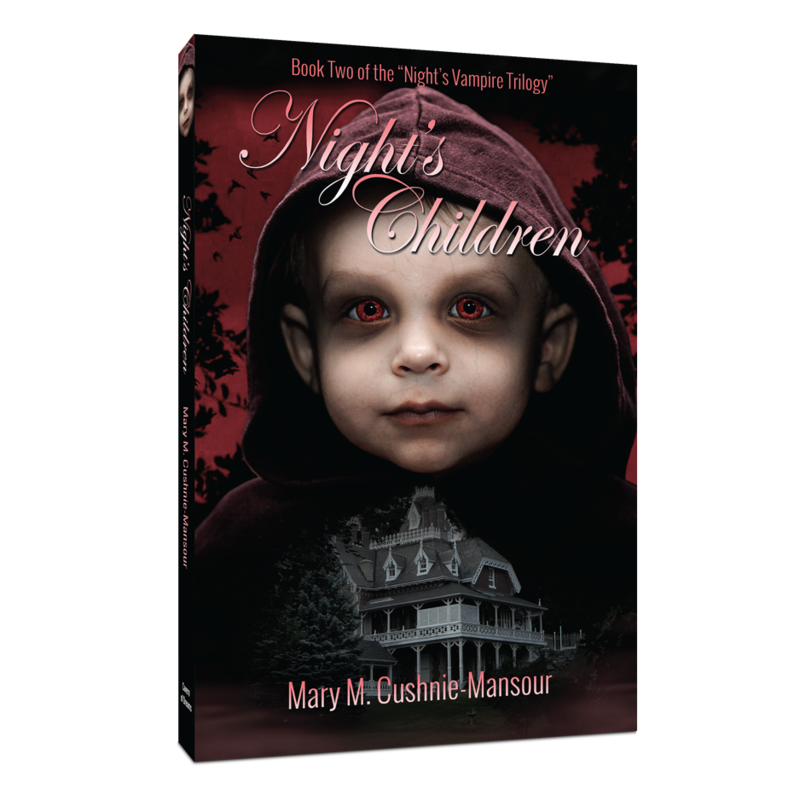 There are many facets to each child which holds especially true for Santan and Samara. Santan is a beautiful gift to his mother, Virginia, which is evident even at a young age. 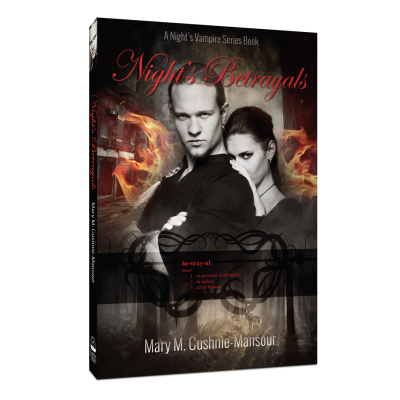 His vampire blood runs strong while his human tendancies show how it is possible to be in perfect harmony with one’s self. Samara is headstrong, passionate, ad determined to have “her way.” Two sibings … a chaotic world awaits.